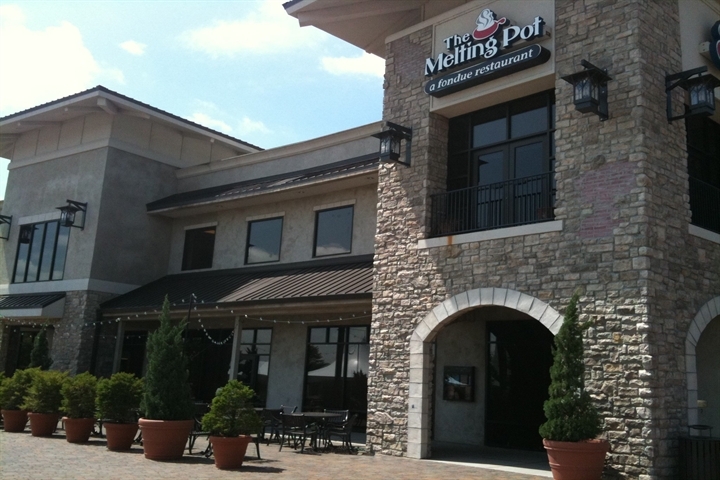 Treat your special someone to an unforgettable evening at The Melting Pot. Experience four courses of the best fondue in town including premium cheeses, amazing entrées and delicious chocolate. All of our Valentine's Day diners are treated to a complimentary box of chocolate to take home, and we have romance packages that will make hearts melt. Be sure to book your table today — Valentine’s reservations will go quickly! This Valentine's Day prix-fixe four course menu is only $120 per couple. Call today to make your reservation! Online reservations will not be accepted for Valentine's Day. *Offer is valid at this location only. Tax and gratuity not included. Not valid with any other promotional offer, discount or dip certificate. See store for details or restrictions. Quattro Formagio Cheese Fondue: Award-winning Butterkase and Fontina cheeses blended with roasted garlic, basil and tomato pestos and accented with fresh mozzarella and parmesan. Strawberry Caprese Salad: Fresh mozzarella, ripe summer strawberries and Roma tomatoes atop a bed of mixed field greens, finished with a sweet white balsamic glaze and honey roasted almonds. FEATURED ENTRÉE: Filet Mignon, Garlic & Herb Chicken, Coconut Curry Shrimp, Honey Cinnamon Pork Medallion, and Wild Mushroom Sacchetti. Served with fresh strawberries, blondies, bananas, pineapple, marshmallow treats, pound cake and brownies for dipping. Candy Bar: Milk chocolate blended with chunky peanut butter, Butterscotch Schnapps, Bailey’s Irish liqueur and caramel. 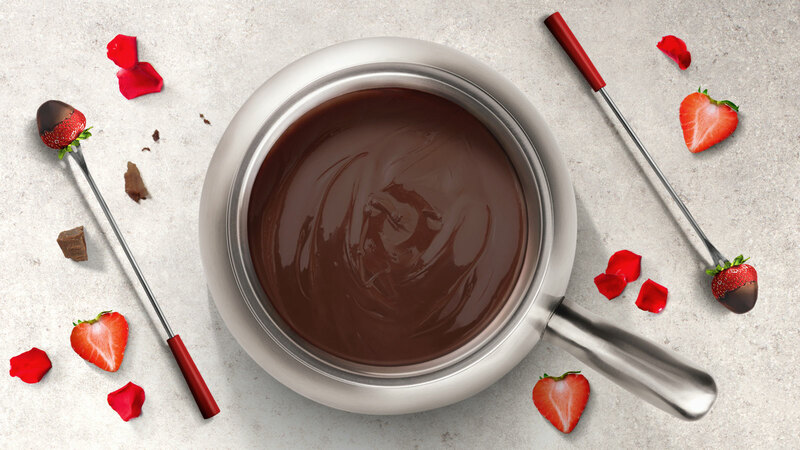 Savory Strawberry: Decadent dark chocolate swirled into a sweet strawberry puree then topped tableside with a savory balsamic drizzle.